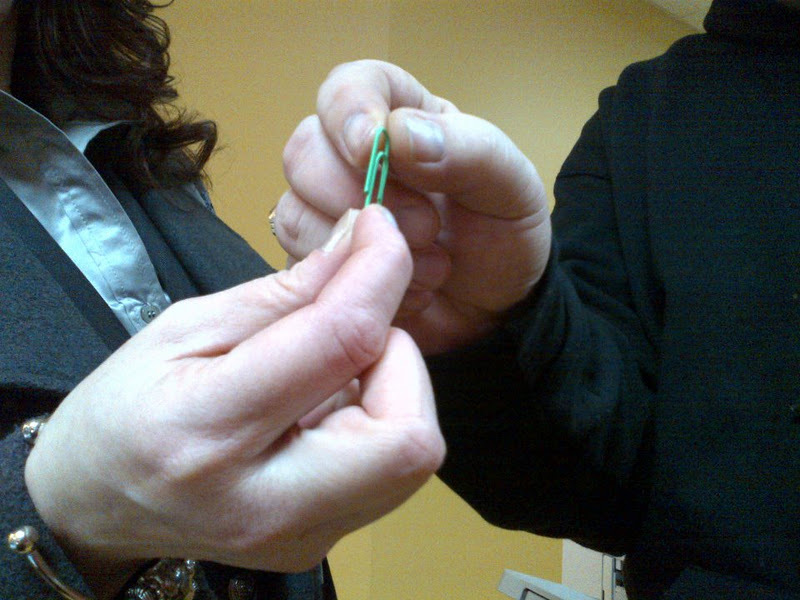 Well, people, this morning the One Green Paperclip in Fort McMurray experiment officially launched. Despite my trepidation about microphones and public speaking I did a radio interview about the experiment with Jerry Neville of Country 93.3. In exchange for the radio time I gave Jerry that little green paperclip, and was able to give my awesome hairdresser Ellen (of Pamper Me Beauty in Abasand) a shout-out on local radio. In exchange for that little bit of publicity Ellen will provide me with a mini-makeover gift certificate, and I'm already looking for the next trade. I admit it. I'm a bit surprised at the interest this little experiment has already generated. I have no idea where it will go, or what the adventure will hold. I know a few things, though. I know the Intrepid Junior Bloggers are very enthusiastic about the entire thing. I know that whatever happens it will be interesting. And I know that this experiment ties in with so many things I hold dear - community, and engagement, and excitement, and taking chances with ideas - and showing my kids what that is all about. It's all about taking an idea, throwing it out there, and seeing where it goes - and frankly there is no place in this world better to do this than right here in Fort Mac, the home of innovation, potential, belief, opportunity, and the power of community. 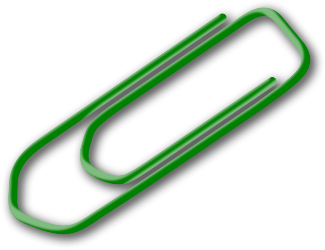 This is the place for one green paperclip to become something much, much more. It's the place for a humble paperclip to become an adventure. Have an offer for a trade?